New findings by scientists at the Harvard-Smithsonian Center for Astrophysics (CfA) suggest that planet formation in the early universe might have created carbon planets consisting of graphite, carbides, and diamond and that astronomers might find these diamond worlds by searching a rare class of stars. The primordial universe consisted mostly of hydrogen and helium, and lacked chemical elements like carbon and oxygen necessary for life as we know it. Only after the first stars exploded as supernovae and seeded the second generation did planet formation and life become possible. Mashian and her PhD thesis advisor Avi Loeb examined a particular class of old stars known as carbon-enhanced metal-poor (CEMP) stars. These “anemic” stars contain only one hundred-thousandth as much iron as our Sun, meaning they formed before interstellar space had been widely seeded with heavy elements. CEMP stars have more carbon than would be expected, given their age. This relative abundance would influence planet formation as fluffy carbon dust grains (from supernovae) clump together to form tar-black worlds. 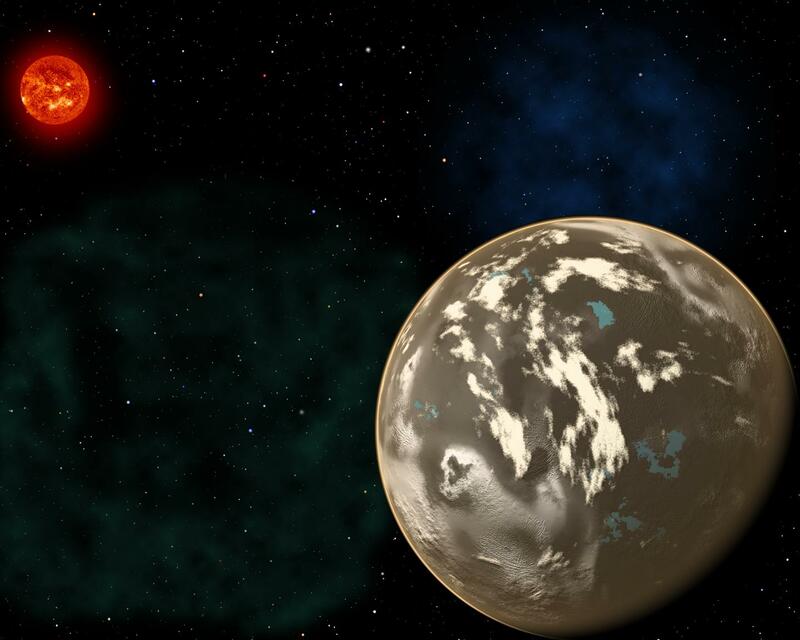 From a distance, these carbon planets would be difficult to tell apart from more Earth-like worlds. Their masses and physical sizes would be similar. Astronomers would have to examine their atmospheres for signs of their true nature. Gases like carbon monoxide and methane would envelop these unusual worlds. 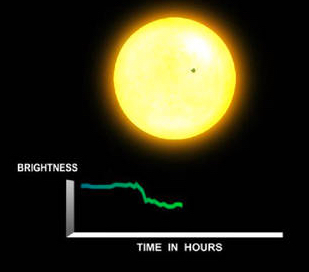 When a planet crosses in front of its star as viewed by an observer, the event is called a transit. The relative change in flux caused by a carbon-based planet transiting across its host CEMP star would range from ~0.0001% to ~0.01%. Fortunately, “there are a number of ongoing, planned, and proposed space missions committed to this cause,” the CfA scientists note. No word if the space-based transit surveys will also watch for artificial messages. * The CfA study is also available (open-access) on arXiv. We explore the possibility of planet formation in the carbon-rich protoplanetary disks of carbon-enhanced metal-poor (CEMP) stars, possible relics of the early Universe. The chemically anomalous abundance patterns ([C/Fe] ≥ 0.7) in this subset of low-mass stars suggest pollution by primordial core-collapsing supernovae (SNe) ejecta that are particularly rich in carbon dust grains. By comparing the dust-settling timescale in the protoplanetary disks of CEMP stars to the expected disk lifetime (assuming dissipation via photoevaporation), we determine the maximum distance rmax from the host CEMP star at which carbon-rich planetesimal formation is possible, as a function of the host star’s [C/H] abundance. We then use our linear relation between rmax and [C/H], along with the theoretical mass-radius relation derived for a solid, pure carbon planet, to characterize potential planetary transits across host CEMP stars. Given that the related transits are detectable with current and upcoming space-based transit surveys, we suggest initiating an observational program to search for carbon planets around CEMP stars in hopes of shedding light on the question of how early planetary systems may have formed after the Big Bang.